Nigerian Chinua Achebe is often called the father of modern African literature. His classic novel Things Fall Apart, published in 1958, was one of the first books to portray Africa from an African point of view, contradicting European stereotypes about the so-called "dark continent." Achebe has written more than sixteen books, including novels, short stories, poems, and essays. 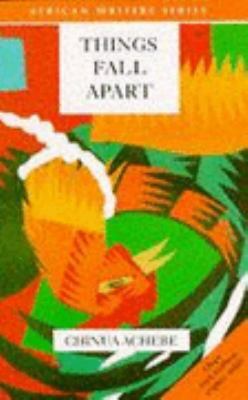 His works tell in unsentimental, moving detail how Western influences have affected traditional Nigerian ways of lifeAchebe, Chinua is the author of 'Things Fall Apart' with ISBN 9780435909888 and ISBN 0435909886.